How are medical technologies shaping contemporary visual culture, in particular, the moving picture? And conversely, how is film impacting upon the ways we think about and experience health and illness? In this symposium, participants from medicine, anthropology, communication studies and beyond will address these issues and explore the complex ways in which medicine and film are enmeshed. 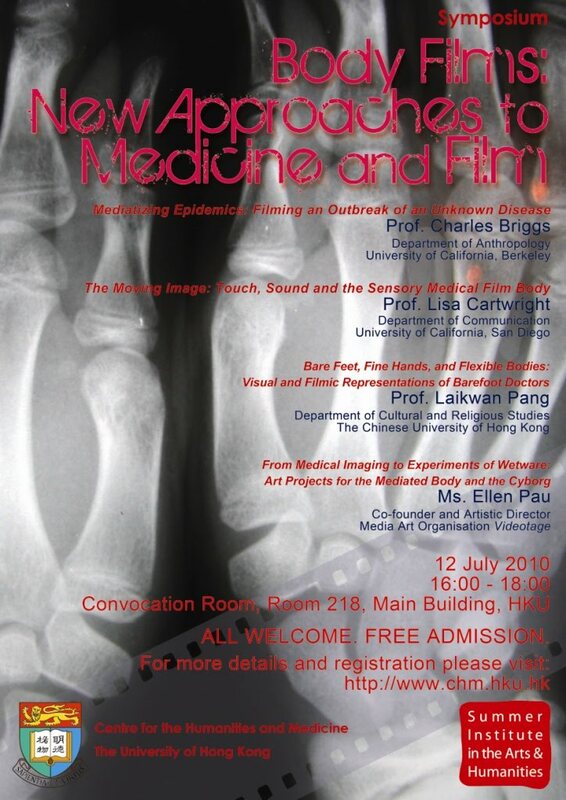 Participants will consider the moving image and the sensory medical film body, visual and filmic representations of barefoot doctors, and the issues at stake in the making of 'health' documentaries. This event is co-sponsored by the Summer Institute in the Arts and Humanities.